Last week saw Royal Enfield unveiling two of their most anticipated bikes of the year. The launch event took place in GOA amid much fanfare and finally, the Continental GT 650 and the Interceptor 650 were launched. Seems like this time round, Royal Enfield had done their homework nicely and have ticked most of the boxes right. 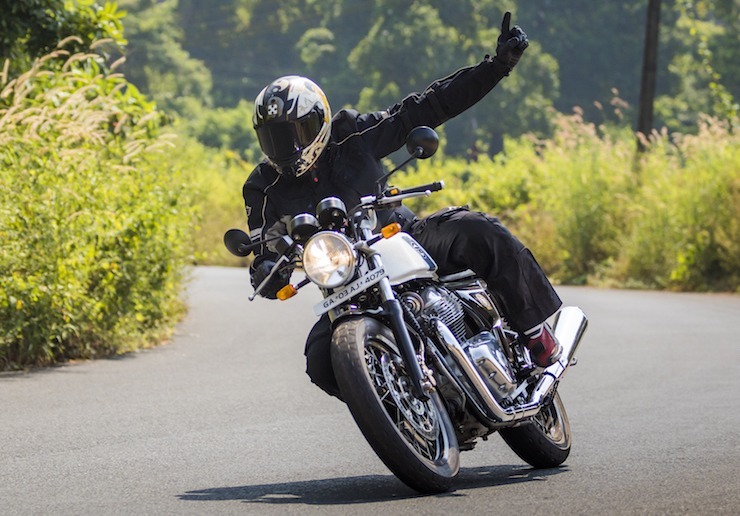 Now, Royal Enfield bikes are famous for their exhaust note and many people were wondering whether the increased displacement brings more thump? Well, we have brought you a video to put your queries to rest. Well, we wonder you must have got some the answers to your question. The bike being ridden in the video is a Royal Enfield Continental GT, made evident from the clip on handle bars. This testing took place in Goa and done by CarToq’s own Bunny Punia , just before the launch happened. The Continental GT is designed like a cafe racer and looks the part too. The bigger, muscular tank, clip on handle bars, more aggressive riding position and an optional rear seat cowl all indicate towards the same. Talking of the exhaust note, it’s unlike any other Royal Enfield motorcycle we have ridden yet, stock bike of course. It doesn’t go all boo-boom and thumpy from the start but rather begins with a low rumble. It then grows into a deep, bassy burble which indicates that this is a two cylinder engine. The exhaust note from those twin pipes is really good, even better than we had expected it to be. To be more precise, it has just the right amount of loudness, bass and burble. Acceleration from the 648 cc engine is very good to say the least. As seen in the video, the bike goes from 60 kmph to 140 kmph really quickly. With this kind of performance on tap, we bet it can even shame some of the more sportier bikes out there in this budget range. Though it is not meant to be a downright dragster or a sports bike, the Continnental GT has the mettle to prove its worth when it comes to it. First gear touches redline at 70 kmph while the second gear redlines at 100 kmph. Powering the bike is a 648 cc, fuel-injected, air-oil cooled, inline-twin engine that produces 47 Bhp of power at 7,250 rpm and 52 Nm of torque at 5,250 rpm. The engine comes mated to an all-new 6-speed manual gearbox with a slipper clutch. 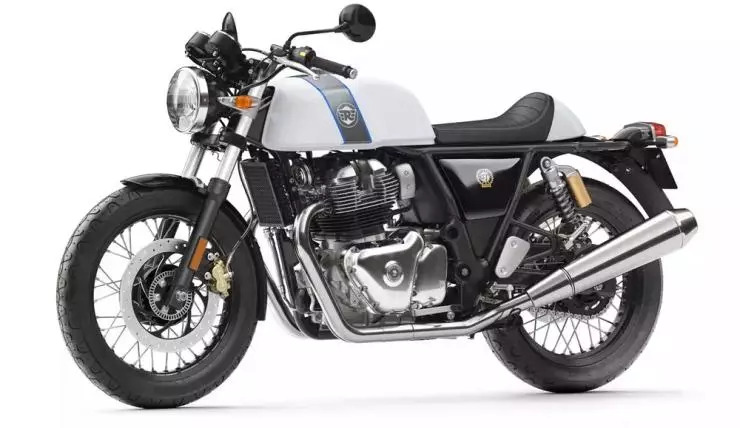 Pricing for the Royal Enfield Continental GT 650 starts at Rs. 2.65 lakhs and goes all the way up till 2.85 for the chrome variant. « Mahindra Alturas more PREMIUM than Toyota Fortuner: 6 reasons!